This week marks the one-year anniversary of the release of Breathing on Her Own. Wow! As many of my readers know, it has been a roller coaster year for me. My precious husband died in October. 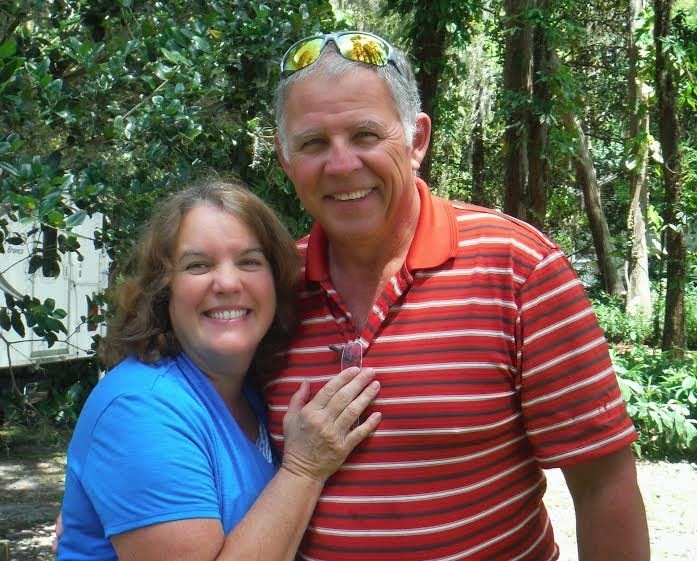 He was my biggest cheerleader –A true advocate for me in my writing endeavors. So today, I enter this celebration with mixed emotions. Stick with me to the end. I’ll be giving away a signed copy of the book. Thank you, Sue for taking the picture at Howard Park. For my mother who shared three precious gifts with me: Life, a love for the Lord, and a love for books. 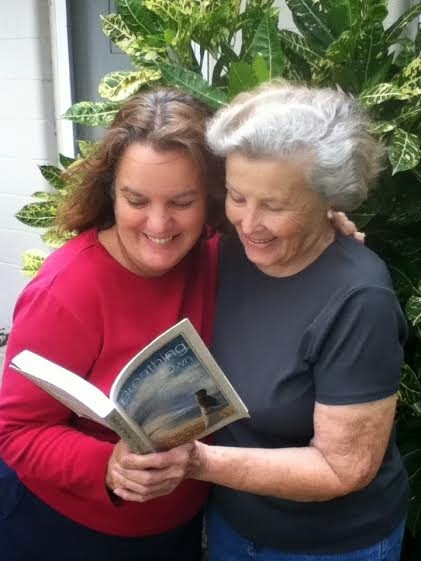 This is a picture of me with my momma when she first read the dedication. My sweet husband worked hard to make the book launch a success! As the time for releasing the book approached, I asked one hundred people to join the Amazon Launch Team. Seventy-nine people agreed to be on the team. Their job? Read the book and write a review. I promised to celebrate when Breathing on Her Own reached 100 reviews. It took a chapter or two to fully draw me in. After that, I was up late reading the rest of the book. It really grabbed my heart. It also touched wounded places in my spirit and rubbed a few scars. This book has the ability to do more than pass time. It has depth. Rebecca did a masterful job of weaving the tale. She developed the characters enough to bring them to life and shared enough detail to bring the reader in close without being wordy or boring. "Breathing on Her Own" is one of my favorite fiction reads for this year. I recommend it for individuals and to possibly use for book clubs. Thanks Melinda Lancaster! And she wasn’t on the team! Wow, what support! And speaking of support, my three daughters have been incredible. They have worked to create my business cards, the book trailer, the website, everything...I don't have room on the blog to list all of the wonderful people who have encouraged and supported me this year. But live knowing you are loved. 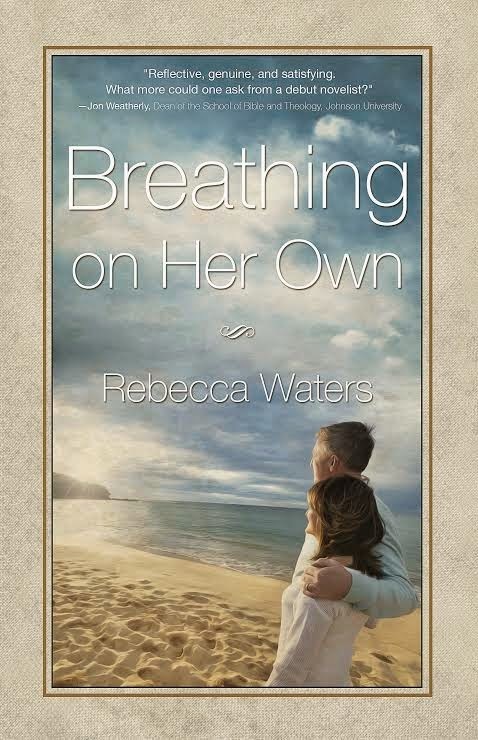 Now it’s your turn to win a signed copy of Breathing on Her Own. Read the three statements below. Two are true. One is a lie. Decide which one you think is the lie and place it in the COMMENTS box. Tuesday, March 31, I will choose a winner from the correct answers. The person winning will be announced on the April 1st blog….and this is no April Fools prank! Two Truths and a Lie….which is the lie? · Breathing on Her Own took eight months to write. · Breathing on Her Own is based on a true story. · The original manuscript was 22,000 words longer than the final version. Don’t forget to check back next week to see if you are a winner. I’ll then make arrangements to get the book to you. Don't want to wait? Breathing on Her Own is available at both Amazon or at your local Barnes & Noble. Are You A Word Weaver? My guest today is Cindy Huff, president of the Aurora, Illinois Chapter of Word Weavers. I asked her to share a bit about the organization. So here's Cindy! Thank you Becky for asking me to come and share about something I am very passionate about. I love to encourage writers and the one area I can’t emphasize enough is critiquing. For some this becomes a fellow-writer that you click with and help each other. For some it’s a group. I want to share with you about a wonderful group you might want to check out in your search for way to improve your writing. Word Weavers has been in existence for almost two decades. It started in Orlando, Florida and spread around the state. In recent years it has expanded across the nation and into Canada. With its online groups, it is available internationally. Word Weavers has a specific format for the pages you share in critique groups. Each individual brings six copies of a piece they want critiques. You will never receive more than six individual critiques. 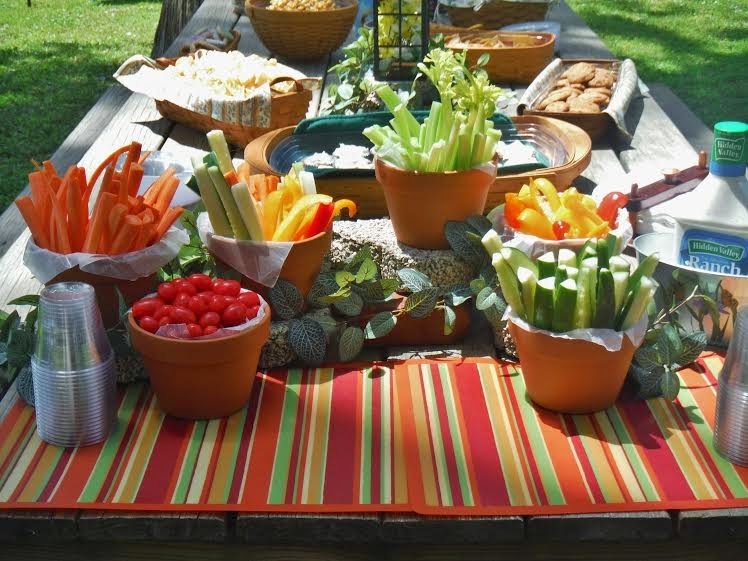 Larger groups are divided into groups of 4-6 because the two hour meeting time is strictly adhered too. Frankly, more than six commenters makes your head spin. Maximum word count is 1500. This allows everyone in the group time to be critiqued and doesn’t become too tedious. The goal is to give you helpful input to apply to your whole manuscript as you work on it. Samples must be double-spaced, Times New Roman. This is the industry standard and gets writers in the habit of formatting professionally. Double spacing makes it easier to add edits to the page. Line numbers are added making it easier to refer to problem sentences during the oral critique. Word Weavers has a winning formula for critiquing. Who would benefit from Word Weavers? Whether you are a novice or a pro, you can benefit from Word Weavers. You don’t have to be published to give valuable input to others. Everyone’s opinions are respected. Word Weavers is open to writers of fiction, non-fiction, scripts, poems, children’s stories. We have critiqued book proposals and book summaries. The focus is helping Christian writers get published by helping them hone their craft. Each meeting usually has the first 20 minutes or so dedicated to praise reports on publications, sharing of great writing tools others may be using. Some groups have a time or worship. Highlights from writer’s conference, leads on publisher’s submission needs. Writing craft books may be shared. The Christian element means no erotica or graphic scenes will be critiqued. We respect all denominations and have had non-Christian members as long as they respect the guidelines. Growing to better serve members. Word Weavers is now affiliated with BelieversTrust in an effort to add online writing classes, webinars and coaching to their toolbox. Another great tool is Accountability Partners. Those who want someone to hold them accountable for reaching their goals or additional feedback on their writing can request an accountability partner. The two work together to determine how they can help each other reach their goals. You can get all the details regarding groups in your area, membership benefits and the organization at www.word-weavers.com. Cindy Huff is a multi-published writer. Her debut novel is with editors. She has appeared in Christian Communicator, Splickety Prime, and a variety of other periodicals. Her flash fiction Work will appear in Splickety Publishing Groups’ upcoming anthology. She has been a Bible teacher, speaker and drama coach both in the US and the Philippines. She is president of the Aurora Illinois chapter of Word Weavers. When she isn’t writing Cindy cares for her elderly parents and enjoys her six grandchildren. She and her husband Charles make their home in Aurora, Illinois. You can check out her blog. www.jubileewriter.wordpress.com or visit her on Facebook www.facebook.com/cindyehuff or follow her on twitter @CindyErvinHuff. 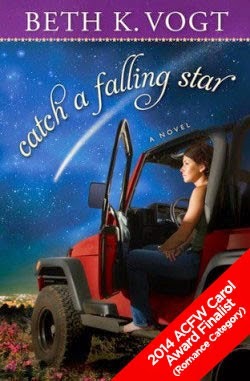 Last week I had the opportunity to attend a writing webinar led by Beth Vogt, author of Catch a Falling Star. The webinar was sponsored by American Christian Fiction Writers (ACFW). I appreciate these opportunities because through them I learn more about the craft of writing. The topic for this webinar was about building the story question. I want share with you what I learned by trying to apply it to my newest work in progress. 2. Why should anyone pick up your novel and read it? 3. What is your story question? I can vouch for the validity of the first two. If you sit down with an agent, publisher, or editor, you need to grab their attention with a well-crafted answer as to what the story is about and why anyone cares! The third question separates the novice from the novelist. This is question I want to examine today. 1. Why does your story matter to you? 2. What is your story’s theme? 3. What is your hero or heroine learning about the theme? 4. What do you want to say about the theme through your characters? Let’s start with the first question. Beth says that if the story doesn’t matter to the author, why should it matter to the reader? There’s truth in that. It’s part of why I tend to stay away from formulaic novels…both as a reader and a writer. They can be entertaining, but lack depth. Now I see it is because the author probably was more interested in “cranking out” a story that worked or would sell than he or she was in telling a compelling story that would make you think about an external phenomenon or examine your own heart. So why does the story for my current Work in Progress (WIP) matter to me? By the way, though I have a longer title, I refer to this work as Quiet. The seed for this story evolved out of a conversation I had with a dear friend. She was a country girl who fell in love with a city boy while he was visiting his country cousins. I grew up in a farm community. I appreciate what that lifestyle has to offer. But part of why this story matters to me is rooted in the second question regarding theme. This leads to the third question. What is your hero or heroine learning about the theme? What is he learning about himself? What is he learning about the harmful effects of self-centeredness? And what about her? She appears to be a caring and loving person. But is she? I mean she wants to do things her way. She wants to follow a career path of her own making and along the way is disrespectful to her parents because of it. What will she learn about giving of herself? The final question posed by Ms. Vogt is this: What do you want to say about the theme through your characters? My characters can see faults in others before they can see them in themselves. Sounds familiar. Oh but surely I would NEVER be like that! (Insert sarcastic chuckle here.) I want my characters to grow and to expose the notion of living a life where caring more about “Number 1” is diminished. I want my readers to relate. I want to see behaviors modified, attitudes revised, and lives changed. So now that we’ve addressed the preliminaries, let’s see if I can answer the three big questions posed at the start for this WIP. A. Quiet is about a city boy, a country girl—the potential love and the real evil that threatens to change their lives forever. A. Readers will get both romance and suspense underscored by the notion of how self-centeredness threatens more than our relationship with the one we love. 3. What is your novel’s big question? A. What would you be willing to give up for love? There you have it: A sort of worksheet to guide me through the writing of this book. I know it may be refined over time, but for now, I’ll do as Beth Vogt instructed. I’ll tape the big question on the wall above my computer and let the words help me keep the WIP moving forward. 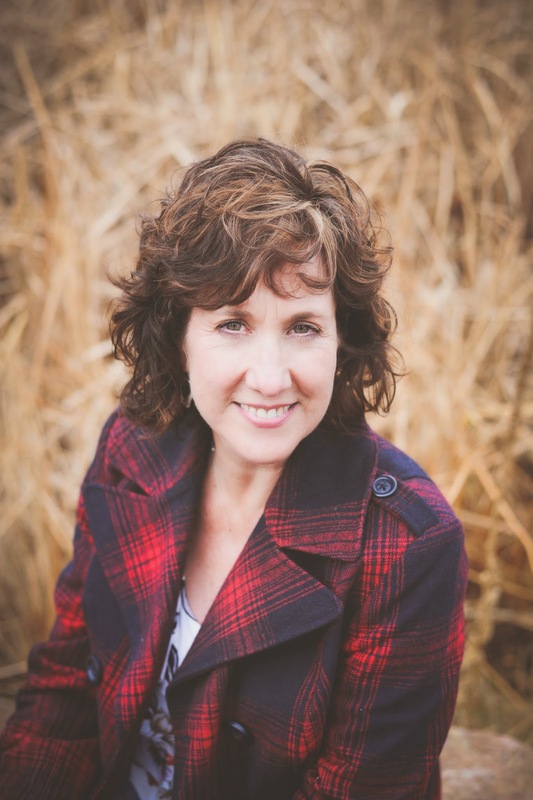 Beth Vogt serves on the leadership team for My Book Therapy, the writing community founded by Susan May Warren. My Book Therapy is where Beth first learned about Story Question. Want more? 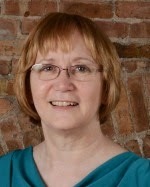 Go to www.BethVogt.com and click on the tab marked “For Writers.” While you’re there, check out Beth’s books. I'm anxious to hear what you think about the story question. Be sure to leave your comments below. And now for a bit of accountability: My word count for the Quiet is 18,759 as of this morning. It turns out I’m more sinister than I thought. I had no problem outlining a romantic story for my protagonists in my newest work. As I began drafting the manuscript, I could well imagine what my main characters looked like, how they dressed and acted. I could hear their voices in the dialogue I wrote for them. I also knew a few of the trials they would encounter. I knew how “she” would handle each situation and how “he” would eventually come around. I named her Katharine and called her Kate. His name is Samuel but of course he goes by Sam. I decided to add another layer to the story by making their rural location home to an Amish community as well. That wasn’t difficult to do. I live in Ohio, home to many Amish. I knew I wanted a few elements of Amish, but I didn’t want this to be an Amish book. Then, as if I hadn’t challenged myself enough, I decided to add an element of suspense to the manuscript. Totally new for me. I enjoy reading suspense novels so I thought it was about time I learned to craft one. So where to start? I decided to create an unknown male character who threatens the safety and well being of the young women in my story. Then there’s Kate’s sister, Elizabeth (or “Lizard” to her big sister). Elizabeth is going to be a senior in high school this year. She’s young, pretty, and smart like Kate. Sarah is a long time friend of Kate’s. She’s Amish and is a year younger than Kate. She has a secret. A secret she is not supposed to tell, but did share with Kate when they were younger. Missy works at the local pizza restaurant her parents own. Her parents have high hopes of her taking over their fairly successful business, but Missy wants only to escape her small town roots. Okay, that proved easy enough. But I wondered if I would be able to create a sinister threat to these young women. I started writing. As I did, I realized that by giving out minimal information from the antagonist’s point of view (POV), I could create a profile that might fit any number of males. Could it be Eric, the creepy grad student who is more interested in Kate than her writing? Or is it Bernie, the pimply-faced “acting assistant manager" from the store where two of the girls work part time? Maybe it is the stranger renting the cabin from Mose Brantley along the river. Or could it possibly be Sarah’s older brother, Daniel, who never returned from rumspringa some ten years ago? Someone said they saw someone who looked like him. And is Sam the great guy I initially thought him to be? He does have a temper and is used to getting his way. Mostly though, he doesn’t really want to be stuck in this place. And he wouldn’t be if his father hadn’t made it a condition for Sam to inherit a vast estate. There are a few other possibilities. Who knew I could be so suspicious and sinister? You? Well, I wish you would have told me! I've described this work as Mary Higgins Clark meets the Waltons on the outskirts of an Amish community. What do you think? In what direction do these character descriptions lead your imagination? I would LOVE to hear fro you in the comment section. I am planning a very special post for March 25 to celebrate.